iPhone 8 Massive Disclose Leaks, iPhone 7S and 7S Plus & Details :- Apple is creating a buzz in the entire tech world since the forthcoming iPhone 8 is rumored to be launch very soon and it is all set to get settle too in the earliest. Now the technology is having a huge number of the leak collection for Apple iPhone 8 and on seeing the launch of iPhone 8 going viral we can take this news seriously now! 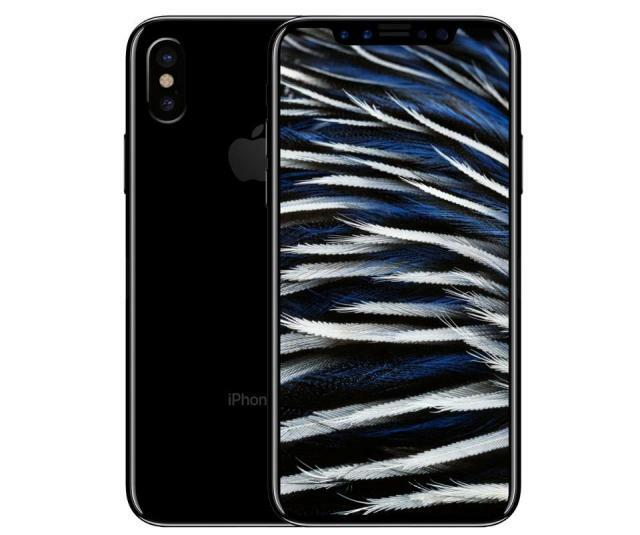 These latest leaks of iPhone 8 are coming from Reddit Apple thread where Foxconn employees filled the thread with some of the iPhone 8 gazettes and that is an almost leak. The design of iPhone 8 is looking promising and it is having the bezel-less display which we earlier saw in Samsung S8 Plus. iPhone 8 can be named as iPhone X, although the real code name has not been disclosed yet. Rear Camera alignment is now changed from horizontal to vertical, which is not good. The rear Fingerprint scanner is just a hoax, Apple still sticks to the Fingerprint scanner. There will be some introduction of Facial Detection and Iris RAM remains 3GB as seen in iPhone 7 Plus for the scanner for security on iPhone 8. Composite Glass would be seen as a replacement to Aluminium body. No Type C port would be available; rather Apple has decided to stick to its old Lightning port. No wireless charging would be seen in the new iPhone 8. Apart from these interesting leaks, one can also expect the release of iPhone 7S and 7S Plus with the same aluminum body with the increase in features. APPLE’S iPhone 8 looks is all set to come in September and these latest leaks may reveal the reason why this time the iPhone 7S can be bigger and thicker than the current iPhone7. Apple’s iPhone 8 released date is now yet to announce but grapevine and craze for the phone are apart. We’re expecting the US technology giant to lift the lid on the new iPhone 8 and this will be having a giant edge-to-edge display. The new iPhone 8 is also likely to include a faster processor and dual cameras with support for augmented reality. Now a new report from iDrop has revealed more about the size and dimensions of the new smartphone and it appears the iPhone could be bigger than the current iPhone 7. The report, which claims to have come from “factory workers with intimate knowledge” of Apple’s next smartphone, claims that the iPhone 8 will measure in at 143.59 x 70.94 x 7.57 mm. Apple’s current iPhone 7 measures in at 138.3 x 67.1 x 7.1 mm, which means the iPhone 8 can be simply bigger and slightly thicker. However, if the rumors are true the new iPhone would actually be smaller than the iPhone 7 Plus but features can be larger in the Apple iPhone upcoming model. This is due to Apple’s rumored AMOLED edge-to-edge display. Though right now we will have to wait to see the announcement, Apple will have some big news coming later today. The major event usually sees Apple unveil its latest iPhone, Mac and Watch software updates but this year the product will be taking into the stage by San Jose.